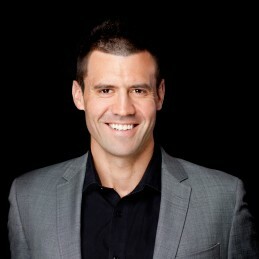 Andrew Sparks is widely regarded as one of Australia’s leading Peak Performance and Mindset Coaches, and he is also the Founder and CEO of Australia’s leading Business and Life Coaching Company, Sparks Elite. Andrew entered the world of Peak Performance after living a completely un-resourceful life for well over a decade. After transforming his own life, and when Andrew started to see results far beyond what he ever thought possible, he developed a burning desire to share that with others. Andrew then undertook the professional training and education he needed that accelerated him to become one of Australia’s leading and most recognised Peak Performance and Mindset Experts, helping ultra high achievers in the business and sporting world achieve outperformance. Realising he was only one man, he then went on to launch the highly regarded Sparks Elite Business and Life Coaching Company in 2012 so he could share the vision of helping as many people as possible throughthe help of his team. Since arriving on the high performance scene, Andrew has been fortunate enough to work with many of Australia’s leading corporate organisations, high profile individuals and internationally renowned professional athletes. In society today there is such a need for personal empowerment and leadership in every area of our lives, and Andrew’s mission is to spread the word as wide as possible. Andrew not only leads his own business, but also works within a number of his company’s Business and life coaching programs, ensuring their clients have access to him as well as our other highly skilled coaches.